The Godot sofa by Menu is a vertical, geometrically shaped sofa with inwardly arched upholstery. The 2-seater belongs to the Godot series, that was designed by Iskos-Berlin. Thanks to the cold foam filling, the sofa not only convinces with its aesthetics and perfect design, but also with its comfort. 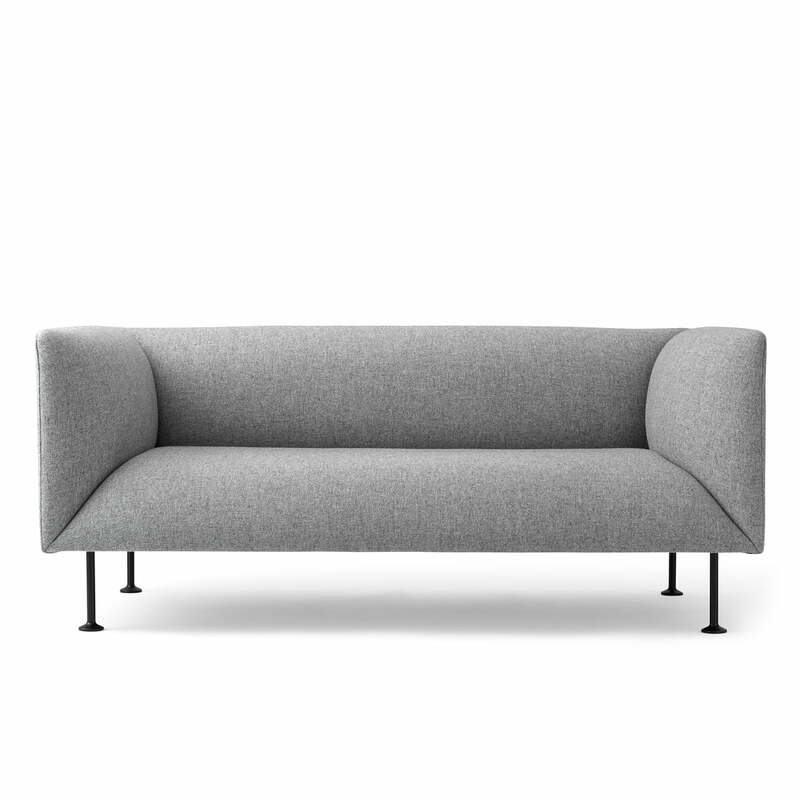 The sofa’s delicate legs are made from powder-coated steel that give the otherwise generous sofa a certain lightness. In addition to the sofa, the Godot series also includes an armchair that was designed in the same style as its larger sibling. Both models combined with each other create a comfortable and attractive seating area for the living room, the waiting area or the lounge. 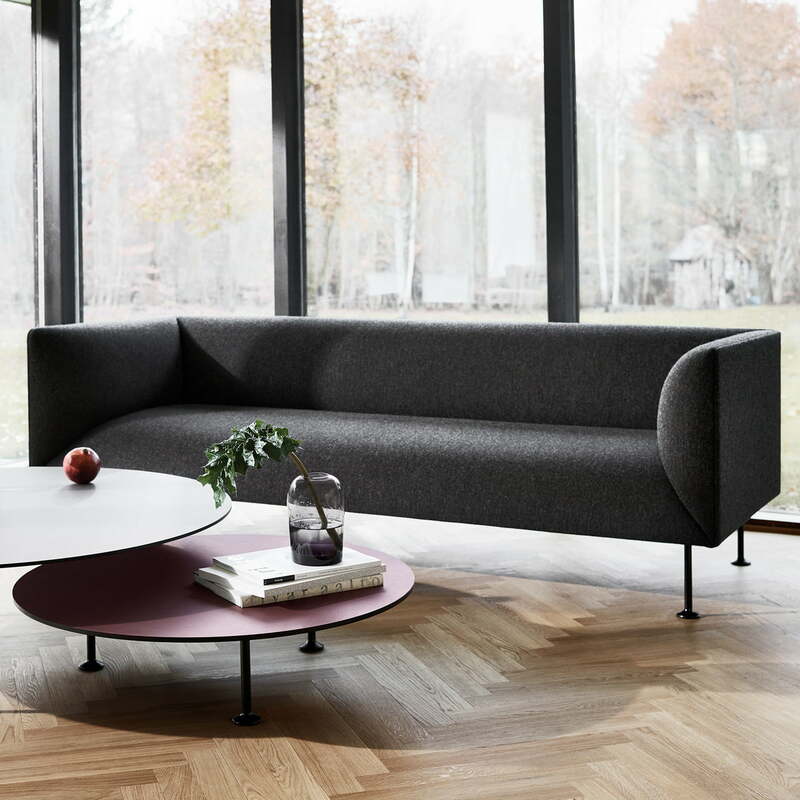 The Godot Sofa by Menu is characterized by geometric and soft shapes. 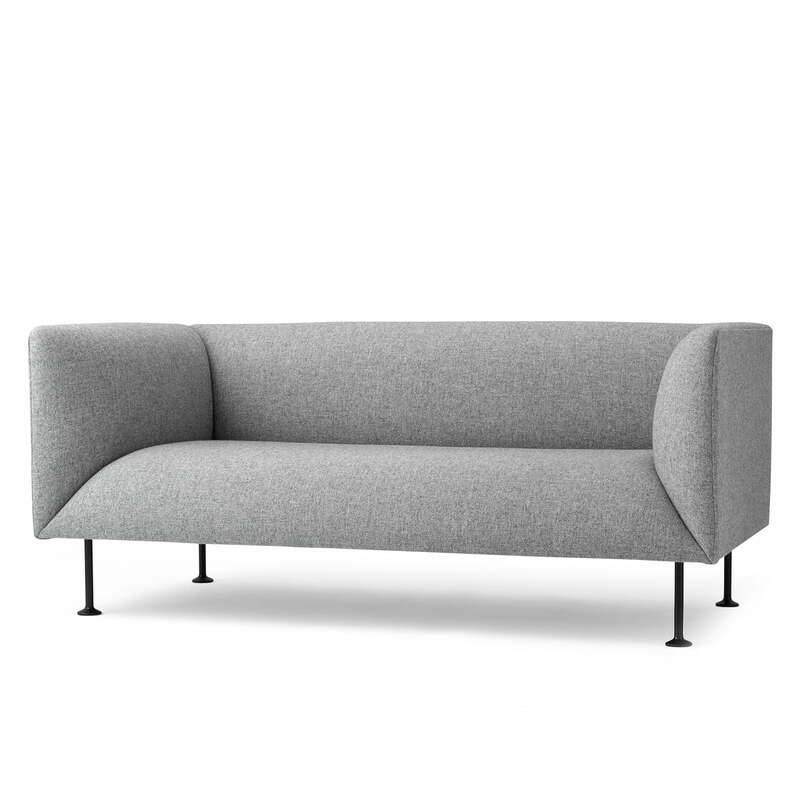 The box-shaped couch with the light gray padding is supported by four black steel legs. 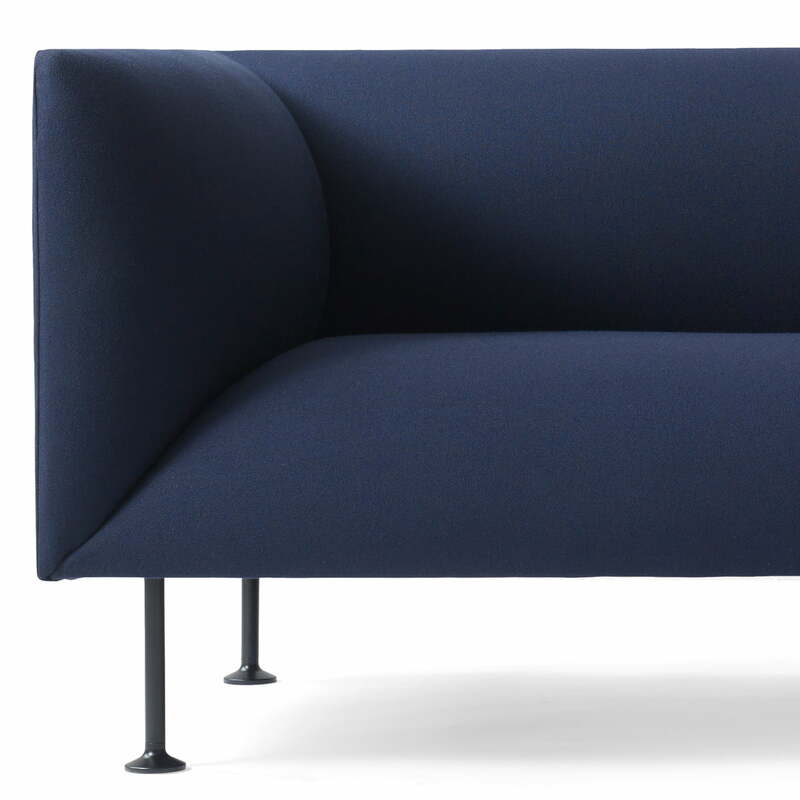 The Godot Sofa, manufactured by Menu, consists of upholstery in Royal Blue. The two armrests and backrest are located at a height and form the geometric shape of the couch along with the seat. 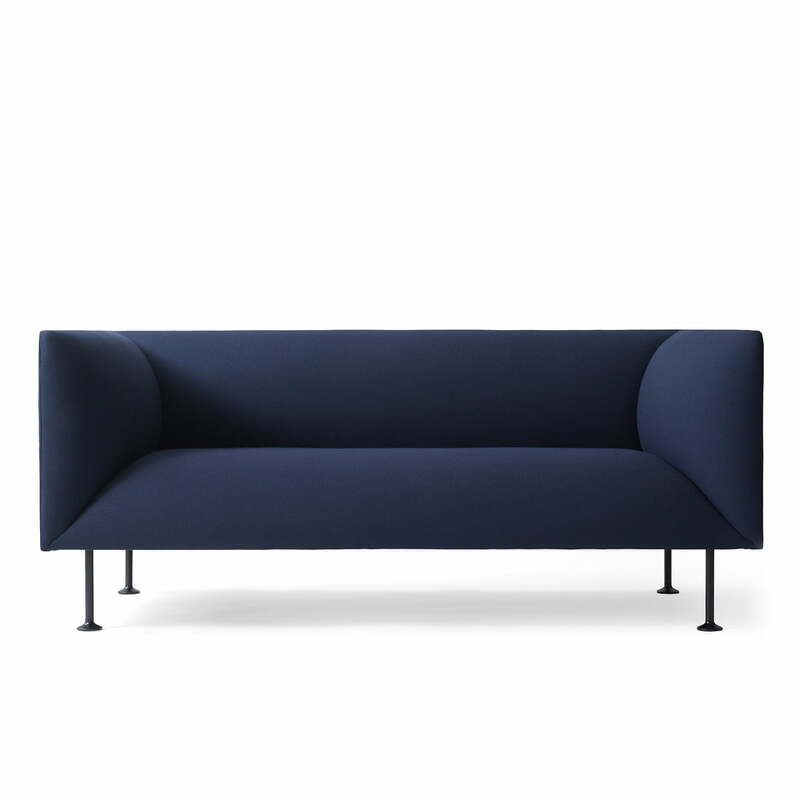 The Godot sofa, made by Menu, has black steel legs that support the geometrically-shaped, straight-lined sofa. The sides as well as the seat surface are curved inwards. The Godot Sofa by Menu creates a stylish sitting area when combined with an armchair and coffee table. The simple design of the sofa fits in every interior. 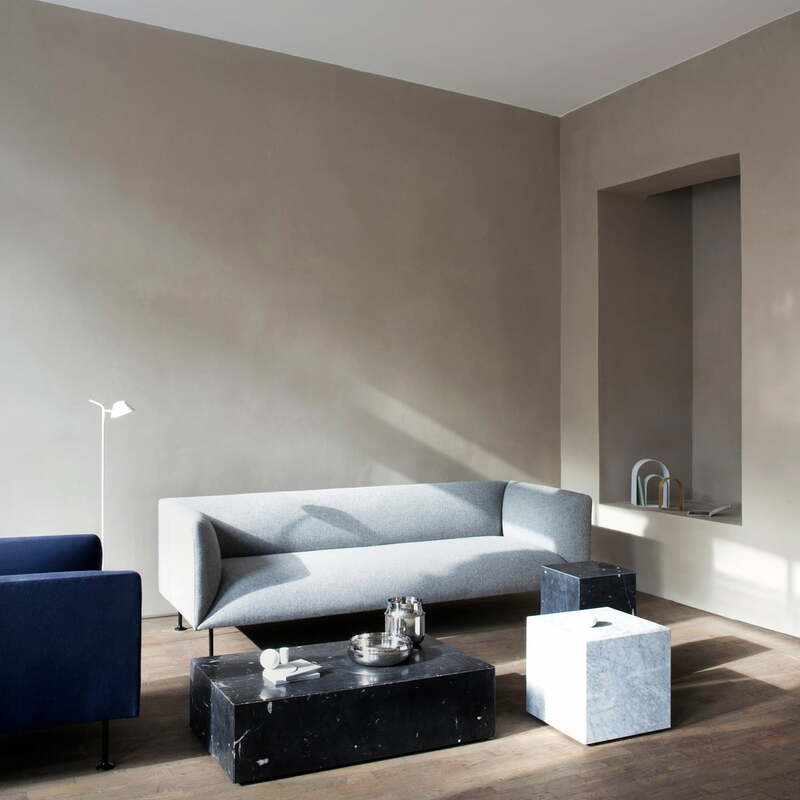 The Godot sofa, manufactured by Menu, looks particularly beautiful and stylish in bright day light. The arm- and backrest of the upholstered sofa are at the same height.